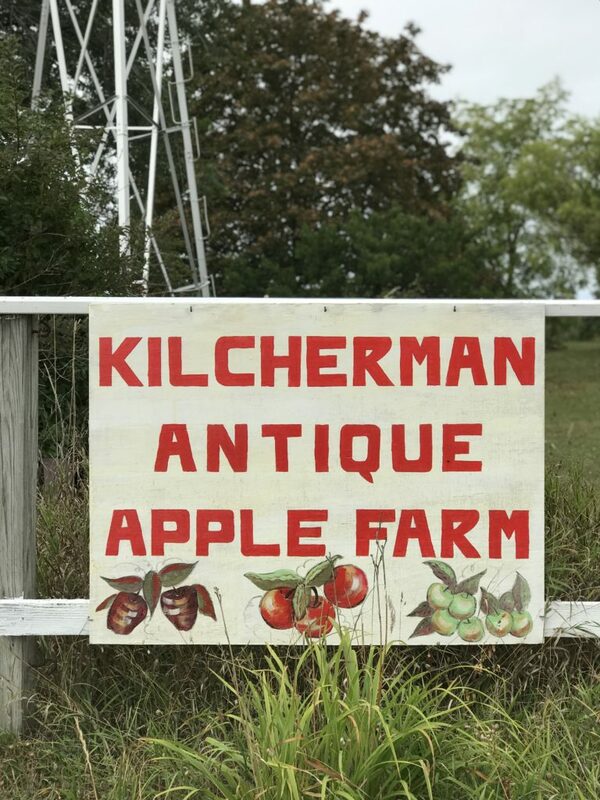 The Kilcherman Family grows more than 250 varieties of apples on their farm near Northport, MI on the Leelanau Peninsula. 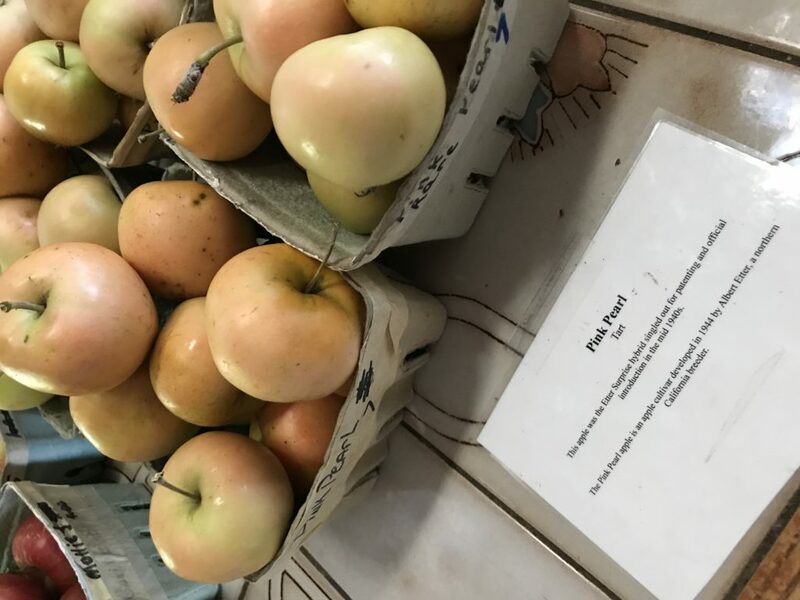 Many of the varieties grown are from antique seeds which are no longer available in most orchards or in the market-some of the varieties grown on the farm date from the 1600’s. 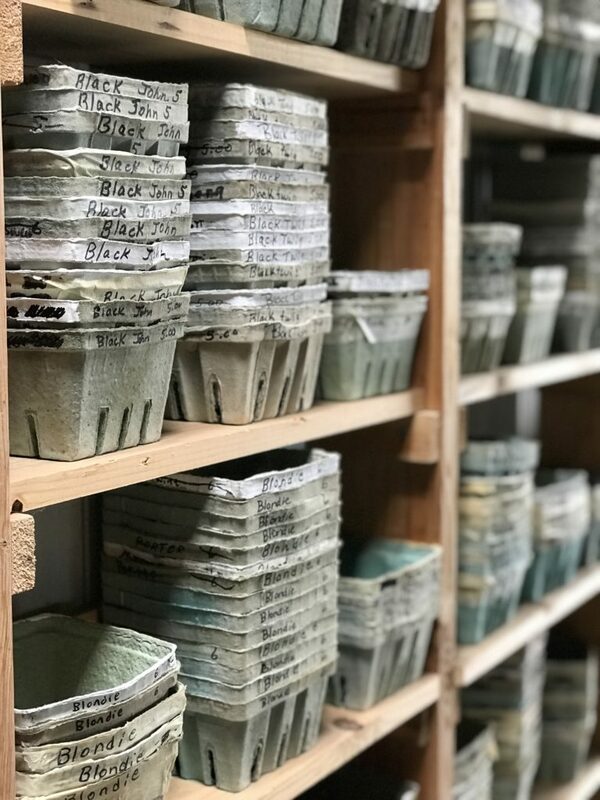 Through extensive research and a collection of rare books, journals and publications on the subject, the Kilcherman’s have become a treasure much like the varieties they lovingly cultivate. 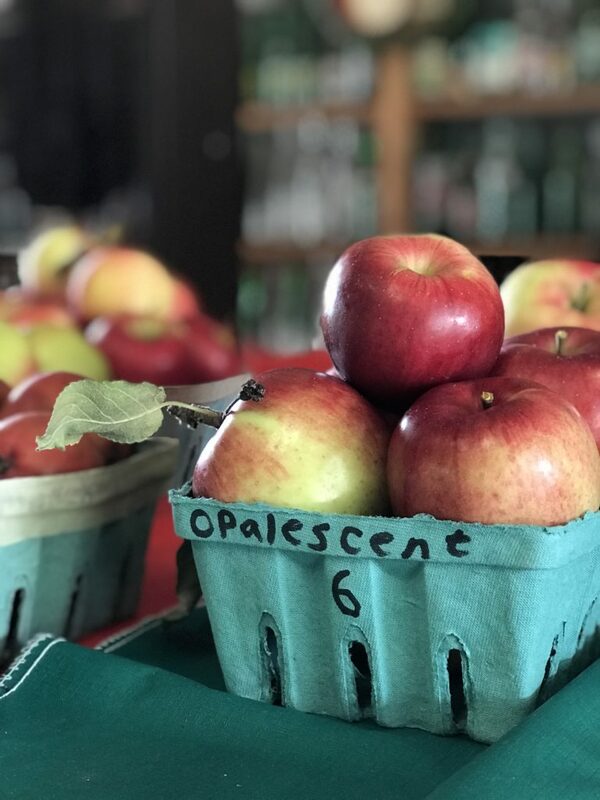 Rhode Island Greening, Salt Shaker Apple, Winter Banana and Old Fashioned Snow Apple are a few of the many varieties you will find. The farm has been honored with an award of merit by the Historical Society of Michigan, featured in the New York Times, and commended by Governor Engler for their contributions to Michigan history. In addition to antique varieties, the farm also specializes in modern varieties. 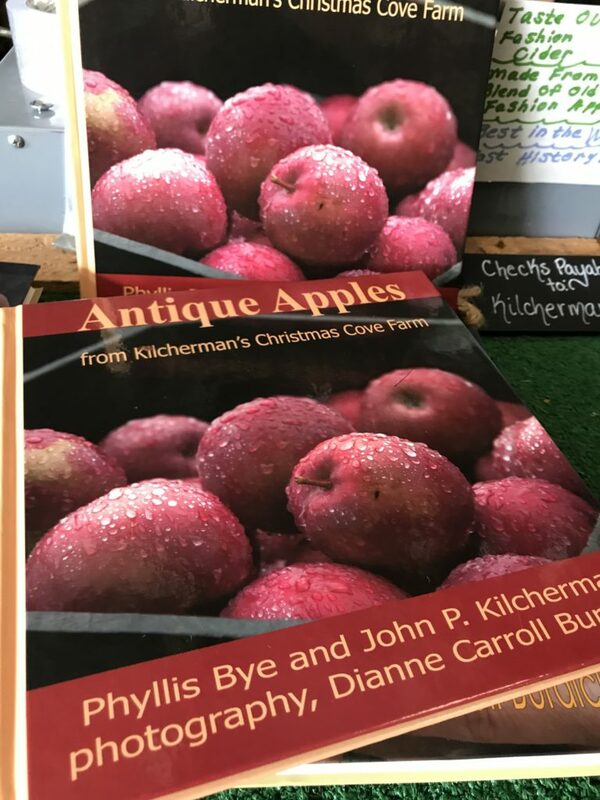 John and Phyllis have also published a book, available here in addition to being available at the farm. Visiting the farm market is fascinating. 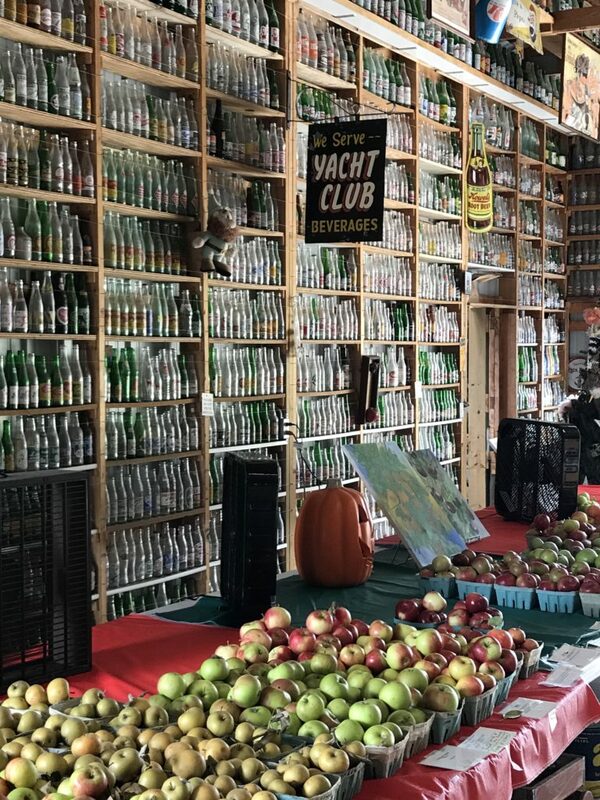 There are apples upon apples laid out in quart containers on long tables. 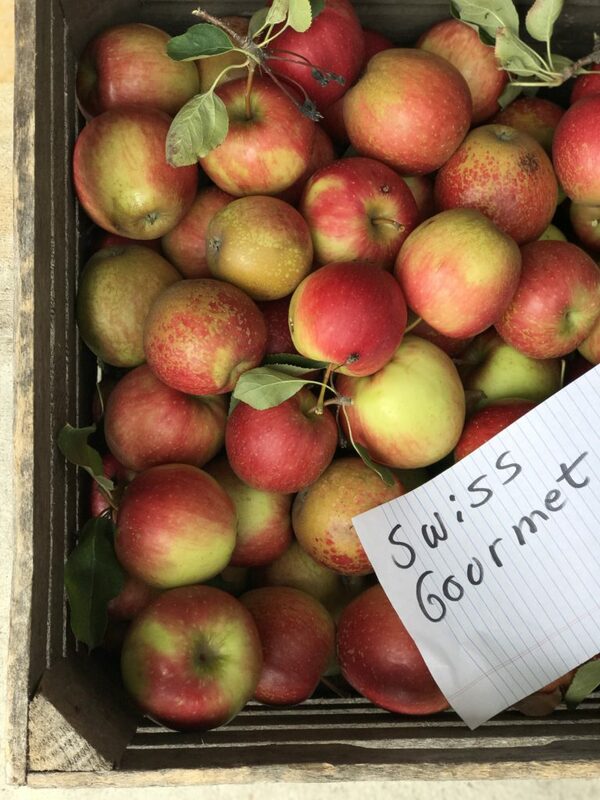 All are labeled with a brief history of the variety, as well as the best use for the apple- baking, frying, eating out of hand, food pairings, etc. 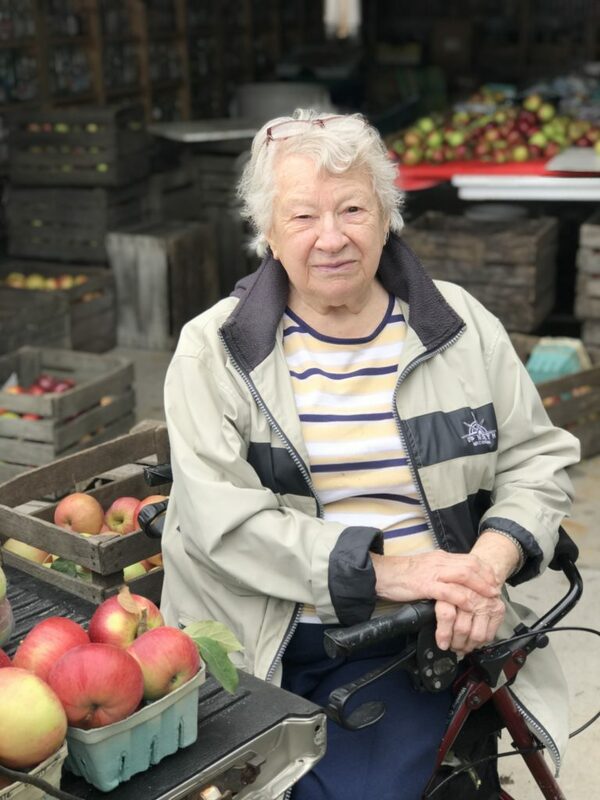 If you are as interested in food as I am, you will appreciate from an educational standpoint the amount of care and time it took to research, grow, and present these apples. 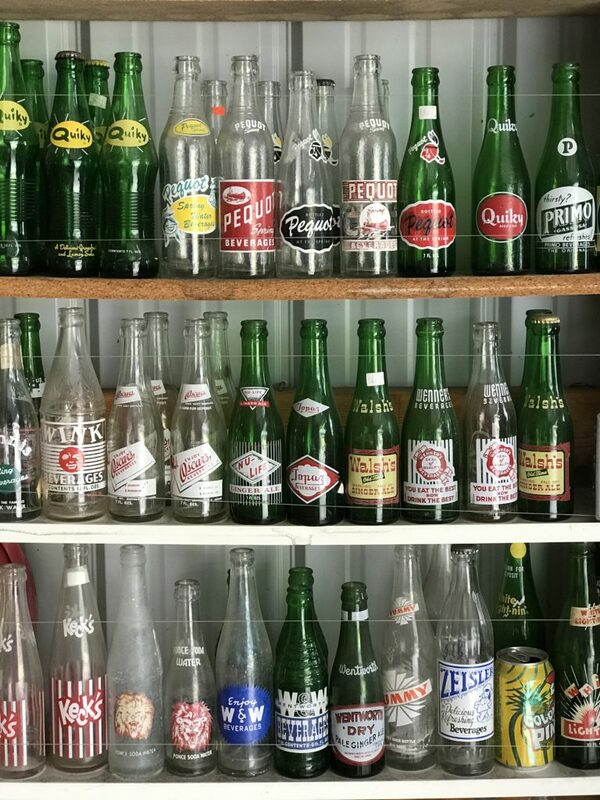 In addition to all the apples, the farm also boasts a collection of over 10,000 antique pop bottles. The silk screened labels and the glass bottles themselves are each a piece of art from years past. They are alphabetized by title, which makes looking for your favorite varieties from years past easier to find. But my favorite part of visiting the farm is the icy cold cider. All these varieties combine in the press to make a unique tasting and utterly delicious cider with the perfect acidity. It’s such a treat! Next time you are in the area, I highly recommend a visit to the farm- it is genuine Michigan-and you won’t be disappointed.